Reset the center stone and refinish. 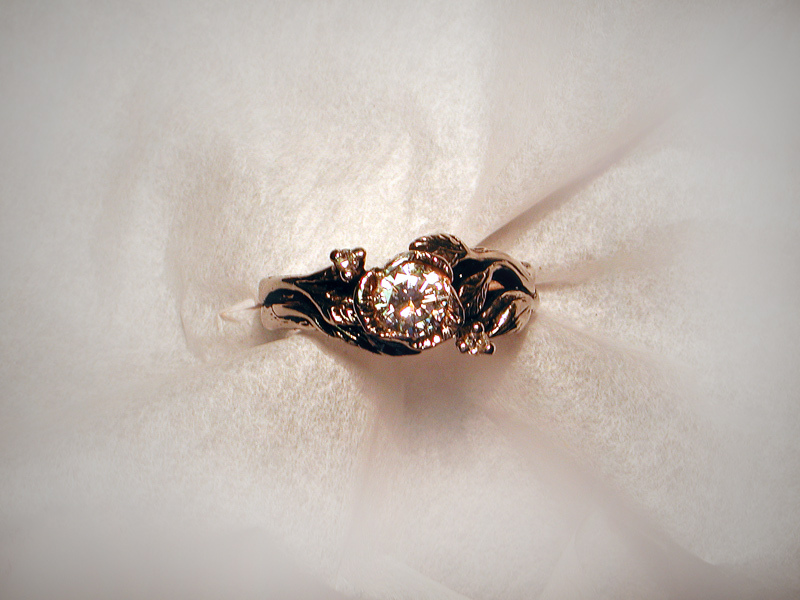 This ring I reset the center diamond in a new head, and soldered the wedding set together. It is actually 3 rings. 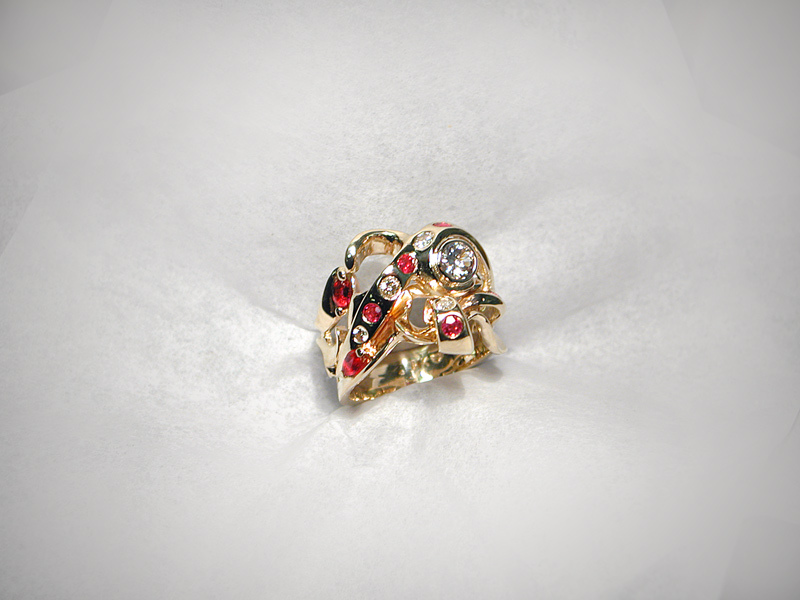 This was a customers ring in which I set all the stones including the .50ct. 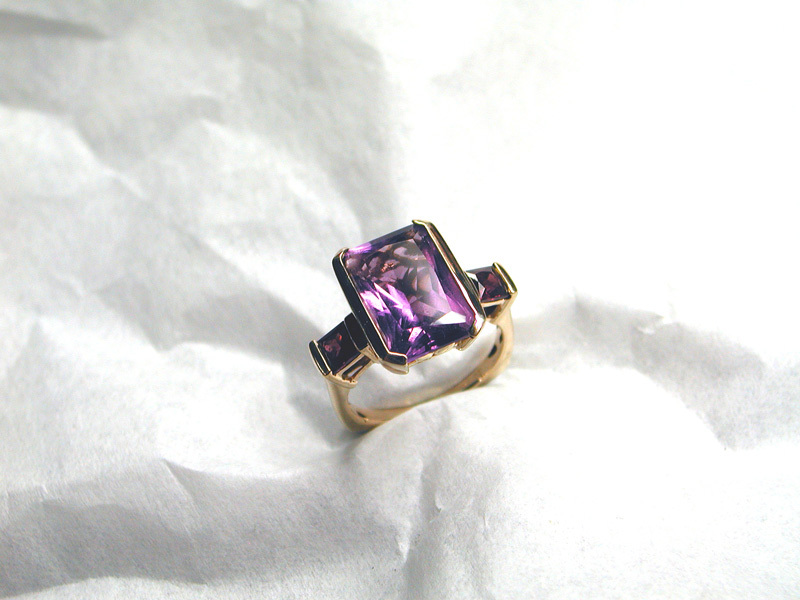 center stone. 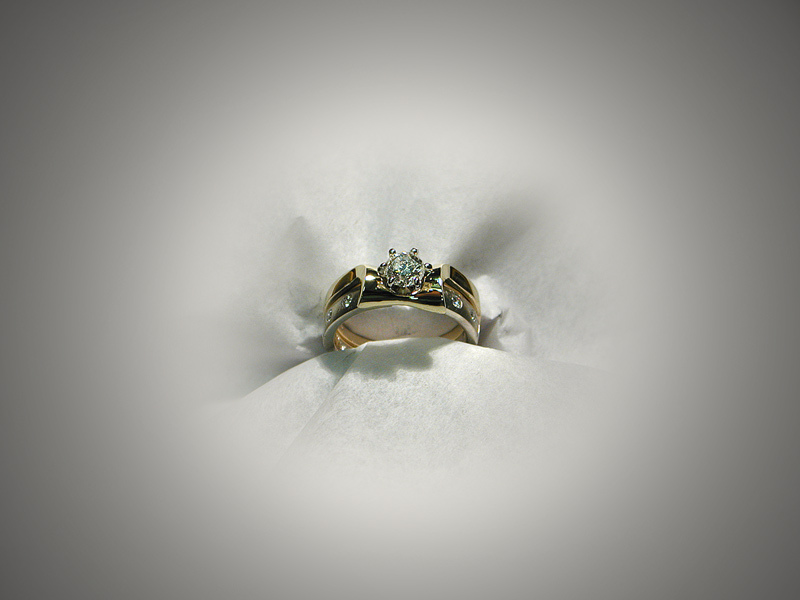 This ring was purchased by a customer with no center stone. I carved out a spot, installed a new 6 prong head and set this gorgeous diamond in it. 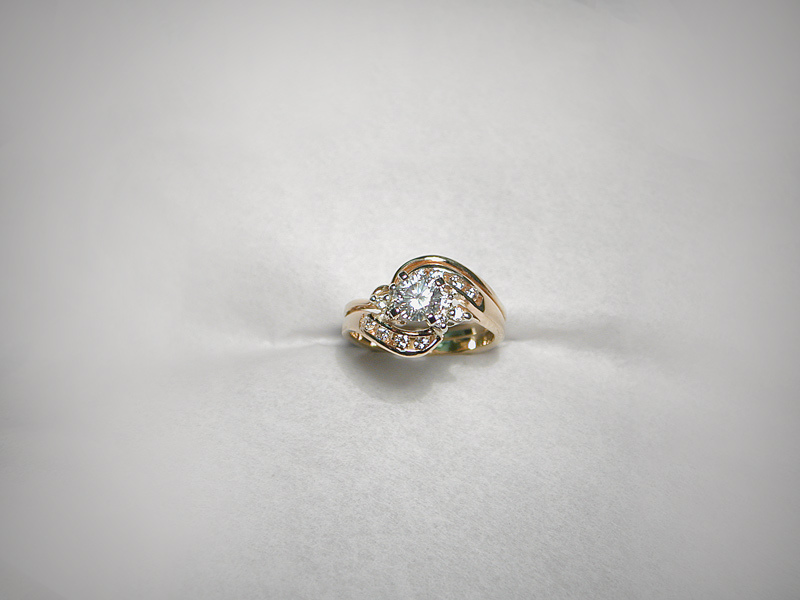 A customer brought this ring to me after having lost the center stone from un maintained prongs. She decided to purchase this .50ct diamond and have it installed. I used the existing metal from the rose petals to set the stone. 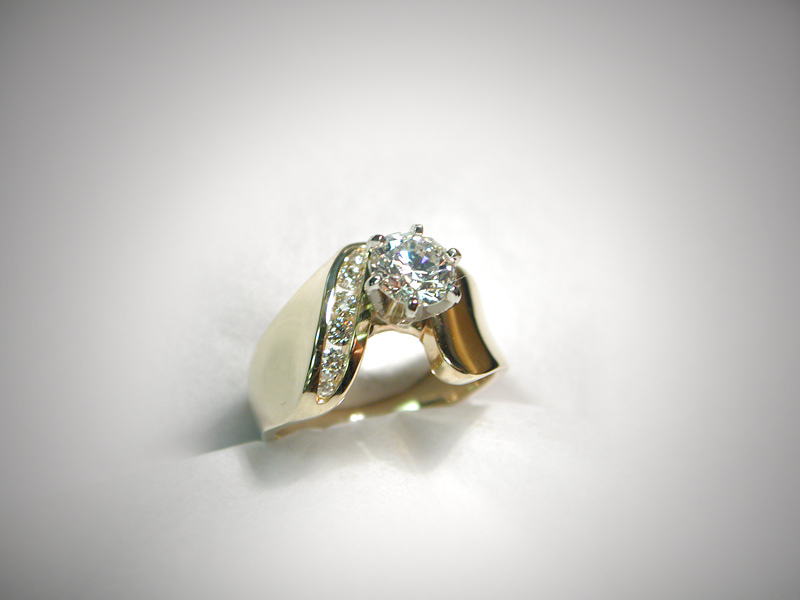 This ring received a new 6 prong head. 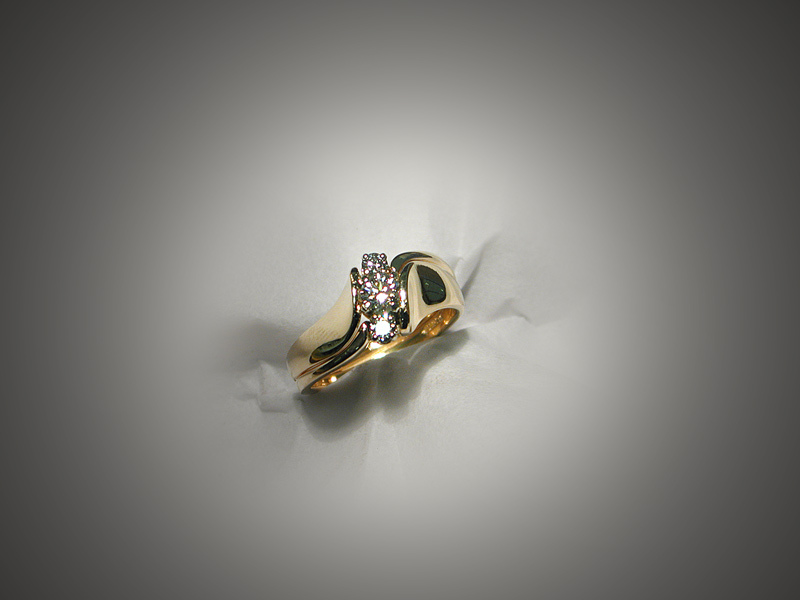 This piece was rebuilt refinished and rhodium plated after a worn un maintained ring caused the diamond to fall out. Installed new head on center stone and soldered together both bands. Soldered two bands together, installed new head for center stone. 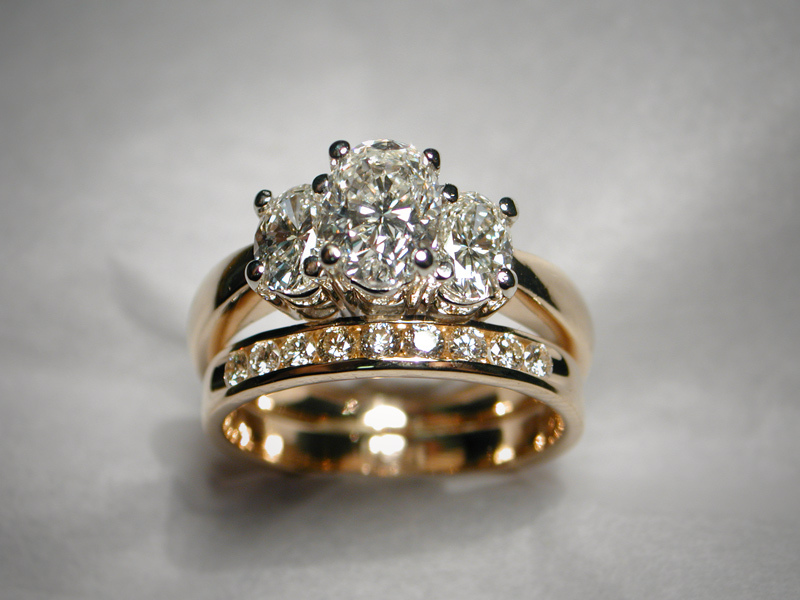 2 carat center stone 1 carat side stones - all VS1 F+, not to mention the anniversary band.